Attempt missed. Lukas Kübler (Sport-Club Freiburg) left footed shot from outside the box is just a bit too high. Assisted by Jérôme Gondorf. Attempt saved. 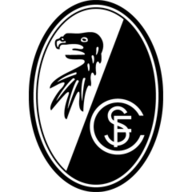 Vincenzo Grifo (Sport-Club Freiburg) right footed shot from the left side of the box is saved in the bottom right corner. Assisted by Lucas Höler. Attempt saved. 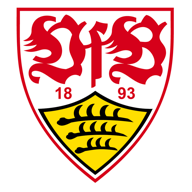 Alexander Esswein (VfB Stuttgart) right footed shot from outside the box is saved in the top right corner. Assisted by Steven Zuber. Attempt missed. Steven Zuber (VfB Stuttgart) header from a difficult angle on the left is close, but misses to the left following a corner. Attempt missed. Alexander Esswein (VfB Stuttgart) right footed shot from the right side of the box is close, but misses to the left. Assisted by Benjamin Pavard.